The recount in Maine’s 2nd Congressional District requested by outgoing U.S. Rep. Bruce Poliquin after losing a November ranked-choice race to Rep.-elect Jared Golden will begin Thursday and is expected to last into the new year. AUGUSTA, Maine — The recount in Maine’s 2nd Congressional District requested by outgoing U.S. Rep. Bruce Poliquin after losing a November ranked-choice race to Rep.-elect Jared Golden will begin Thursday and is expected to last into the new year. 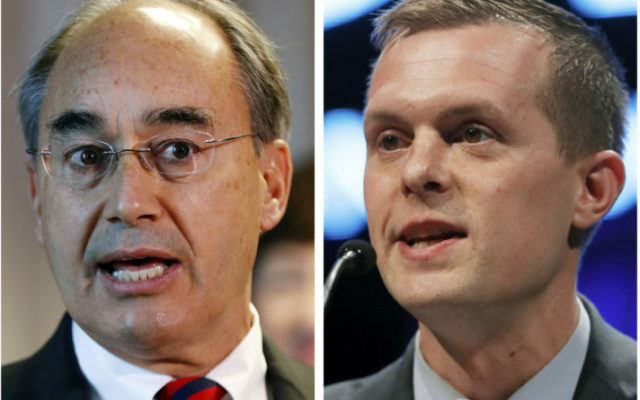 Poliquin, a two-term Republican, will have to pay for the hand recount to be conducted by Secretary of State Matt Dunlap’s office unless it changes the election outcome. That’s unlikely because Poliquin lost to Golden, a Democrat, by a margin of more than 1 percentage point. The incumbent is challenging the outcome of the election in the recount and in federal court, where he is arguing that the ranked-choice voting system enshrined by voters in 2016 is unconstitutional. U.S. District Court Judge Lance Walker is scheduled to hear arguments in the case on Wednesday, though he has already said Poliquin is unlikely to prove his case. Dunlap’s office announced the timing of the recount on Monday. Spokeswoman Kristen Muszynski said it will begin at 9 a.m. Thursday and will run through normal state business hours until it is complete. That is expected to take up to four weeks, though Poliquin can end the recount at any time by conceding to Golden. The recount will break during the week of Dec. 24 for the Christmas holiday and resume Jan. 3, 2019, when Golden is scheduled to be sworn into the next Congress. He was in Washington, D.C., last week for introductory activities, including the selection of a congressional office. For a roundup of Maine political news, click here to receive Daily Brief, Maine’s only newsletter on state politics via email on weekday mornings.